No one threw an insult better than the Bard. Especially if you're bored with your usual slights, this is for you. 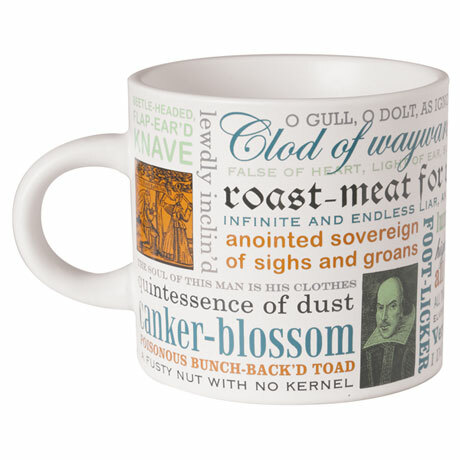 Side-by-side flippable flaps create random combinations of Shakespearean slurs - morsels like "Churlish Lily-livered Miscreant," "Odious Mewling Dotard," and "Ruttish Rump-fed Pignut." Fun for word lovers and surprisingly useful. 16-oz. 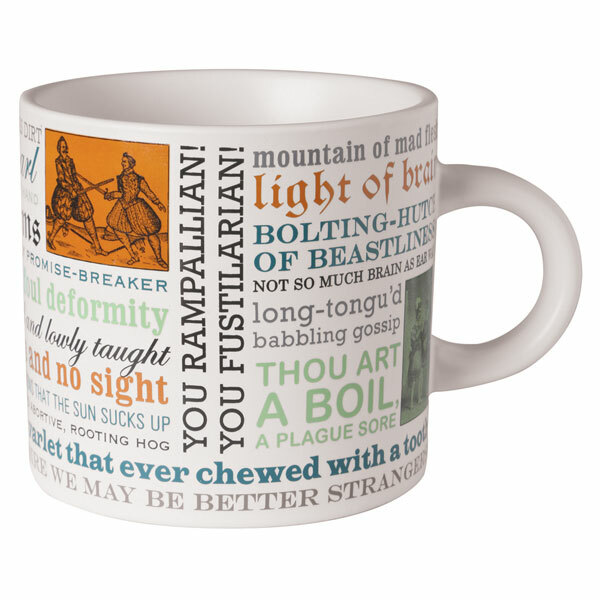 ceramic mug, decorated with choice barbs from the Bard. Dishwasher and microwave safe.